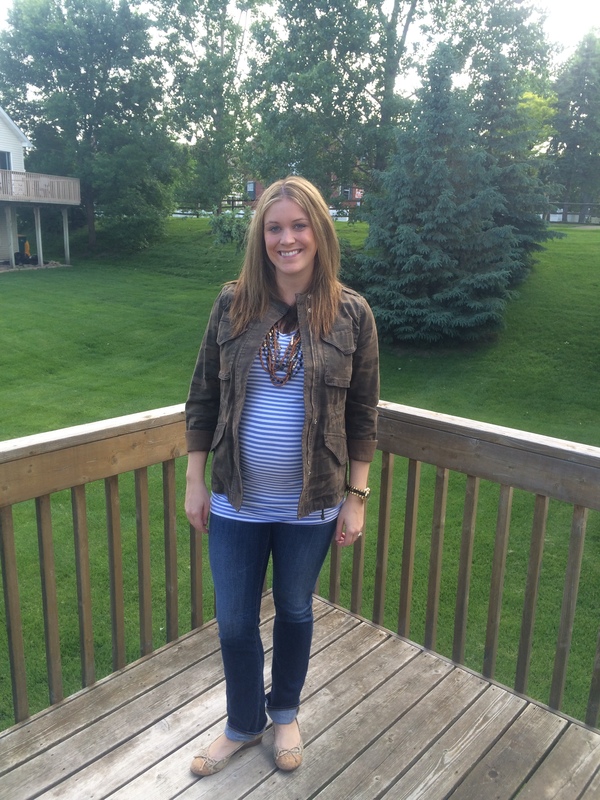 It’s been awhile since I posted photos of my maternity style. I was getting sick of the clothes I have so I made a trip to Target and spent like $30 on two items: the black dress and the white and powder blue striped, v neck tee! I realize that once I wash them they’ll likely lose their shape but, when you’re pregnant, you need a pick-me-up every once in awhile! Below is the cotton black dress from Target. 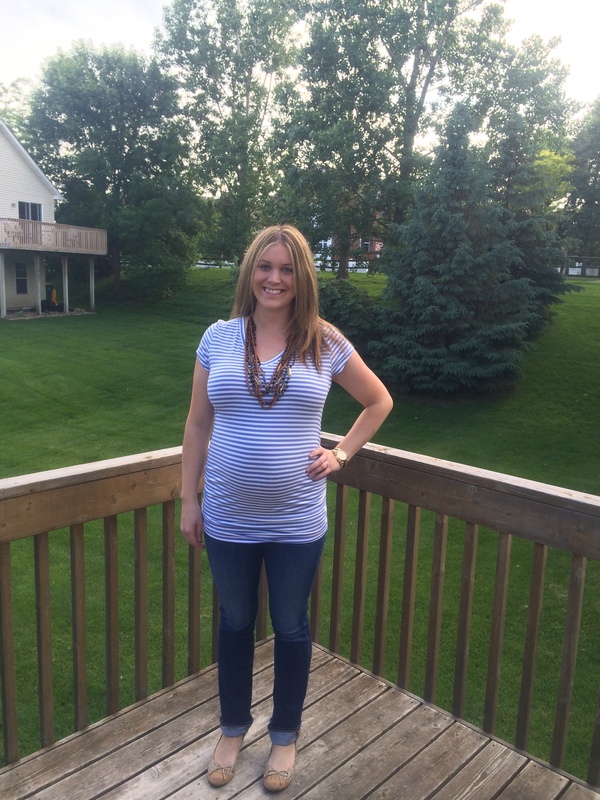 I like the attention drawn to my waist– it makes it obvious I’m pregnant. I could easily dress this up by adding nice jewelry and wedges or heels. 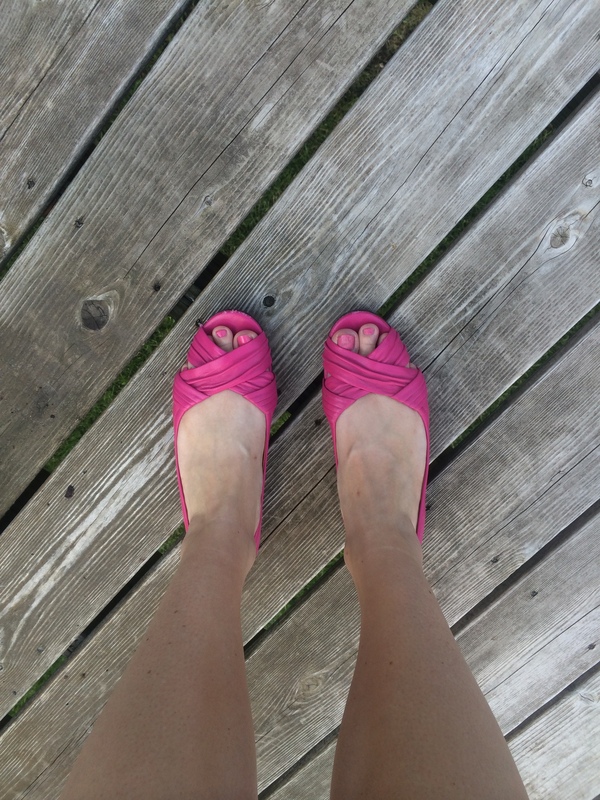 Since I’m pretty casual, I usually dress everything down– I paired it with hot pink Cole Haan sandals (from 2012) and jewelry from Hot Mama (rose gold to tie in the shoes!). At night, I’d throw a jean jacket or even a leather jacket, depending on where I’m going! Here’s another outfit: the powder blue striped tee from Target doesn’t fit very well in the shoulders and chest (I have a really big chest and also, I used to be a swimmer so I’m broad!). I’m okay with it because I throw the camo jacket on with it to make it trendier. I love mixing powder blue and olive/camo— the colors pair so well together! On bottom, I’m wearing the AG Maternity Ballad jeans which are actually a slim bootcut. 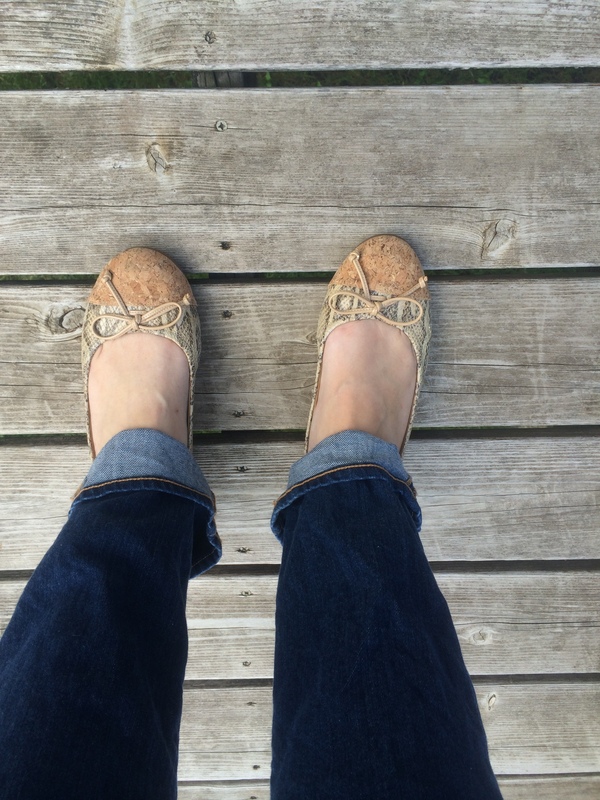 Because I bought these a couple of years ago before boyfriend jeans were popular, rather than buying a new pair of premium denim, I’m flipping the cuff to make the slim bootcut into a slim boyfriend! The camo jacket is by Sanctuary and I got it from Hot Mama last spring. 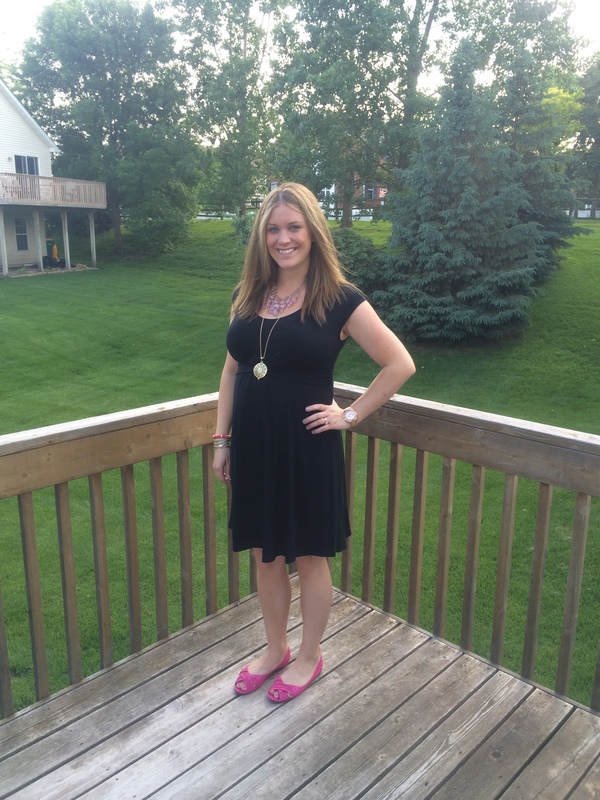 I added really low Cole Haan wedges (I don’t wear high wedges anymore… my belly is getting so big it’s throwing off my center of gravity!). I chose these instead of my Tod’s Oxfords because the outfit is pretty masculine with the boyfriend jeans and camo jacket.. adding a snakeskin wedge adds femininity that’s lacking!